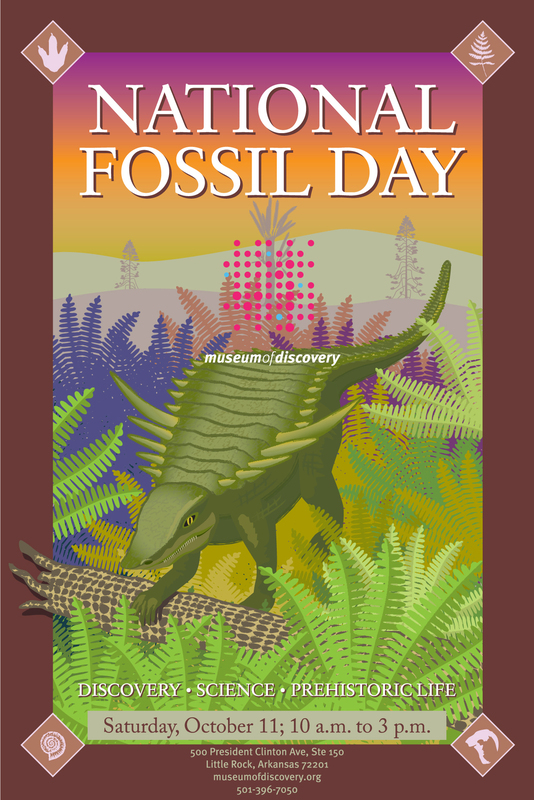 National Fossil Day is October 15th, but the Museum of Discovery, in conjunction with the Earth Science and Anthropology departments at the University of Arkansas at Little Rock (UALR), the Arkansas Geological Survey, the Arkansas State University Museum, the Virtual Fossil Museum, and others (including of course, me) will be putting on an exhibit on October 11th. If you are in the neighborhood, please stop in. there is much to do and see for everyone from toddlers to grandparents and professional researchers. This week I will be sharing a few photos of the collections at the UALR Earth Science Department as a preview of things you will see. 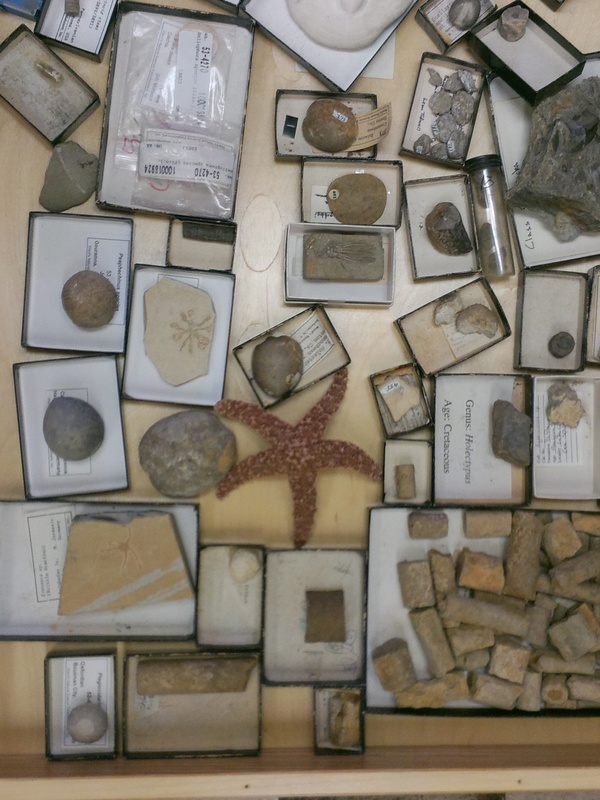 We will start with echinoderms today. 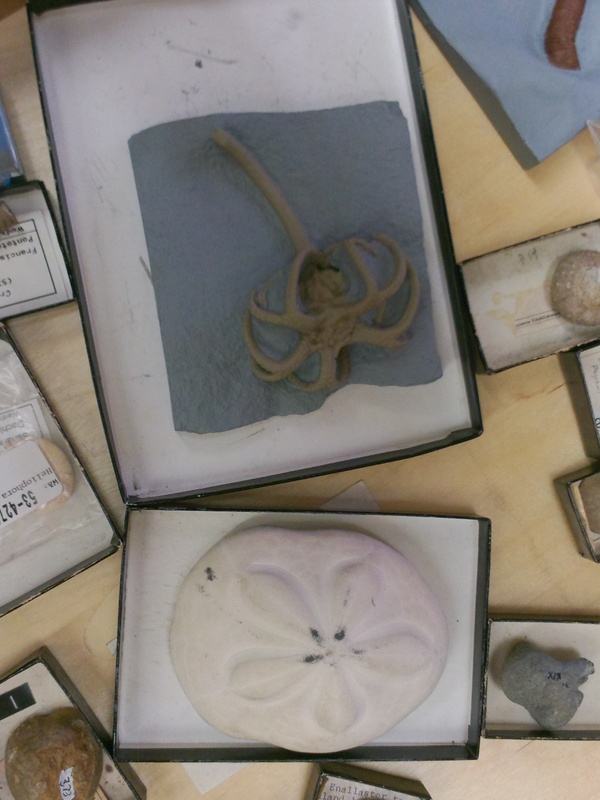 These include crinoids, sea urchins, starfish, and an array of others. 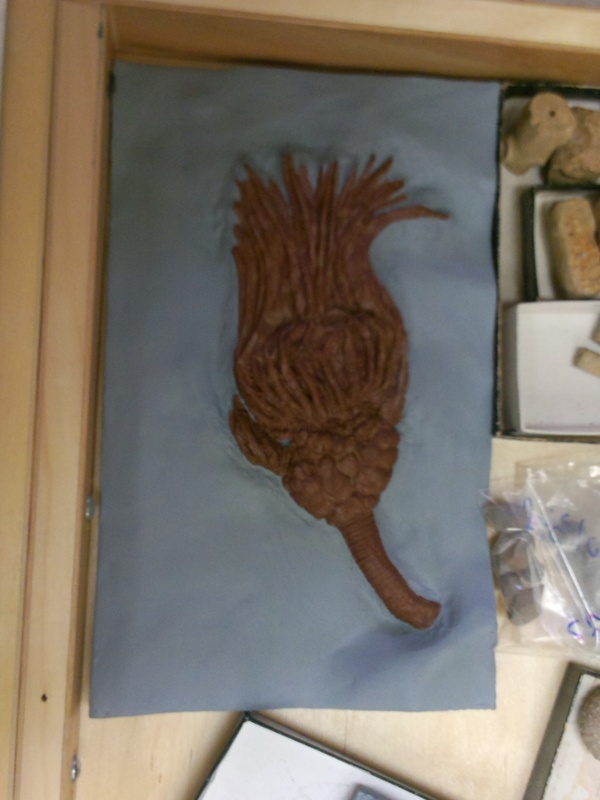 By paleoaerie in Fossils of Arkansas, Paleontology on October 6, 2014 . 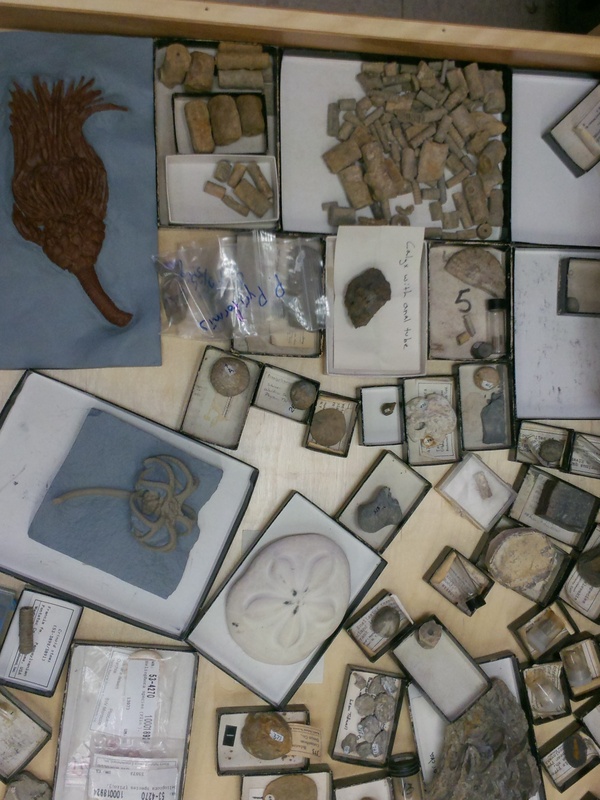 Speaking of fossils, I have a question: Do you know any good/affordable websites where I can get plesiosaur fossils (real or replica) for educational purposes? Cryptoclidus &/or Liopleurodon teeth would be preferable, if possible. Many thanks in advance. That’s a good question. I don’t know of any in particular for those off-hand, I would have to spending some Googling time to find some. If I ever get enough money, I will be getting a 3D scanner and printer for exactly that sort of thing. I will be able to make some then. But that is down the road at the moment. Whenever you get a chance is good. Many thanks again for your help. I just wanted to let you know that I found what I was looking for. Many thanks anyway. Good to hear. Sorry I didn’t get back to you sooner. I have been rather swamped.